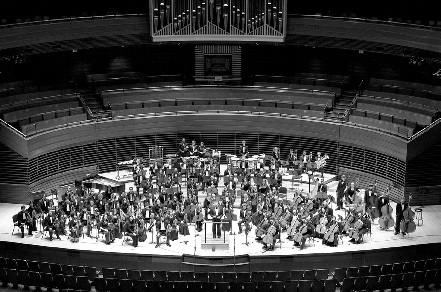 The Philadelphia Youth Orchestra is the tri-state region’s premier youth orchestra organization for gifted, young, classical musicians, and one of the oldest and most highly regarded youth orchestra organiza­tions in the United States. 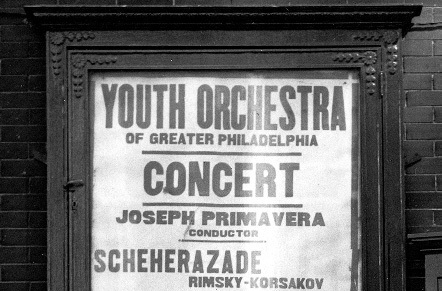 For 79 years, the Philadelphia Youth Orchestra organization has been providing professional-caliber musical experiences to young instrumental­ists, while thrilling discriminating audiences in the Greater Philadelphia region and across the globe. The organization has six programs: Philadelphia Youth Orchestra (PYO), Philadelphia Young Artists Orchestra (PYAO), Philadelphia Young Musicians Orchestra (PYMO), Bravo Brass, Philadelphia Region Youth String Music (PRYSM), and Tune Up Philly, an El Sistema inspired program. Ranging in age from 6 to 21 years, the musicians of the Philadelphia Youth Orchestra organization are selected by competitive audition and come from a 70-plus-mile radius of Philadelphia encompassing nearly 20 counties within Pennsylvania, New Jersey, and Delaware. 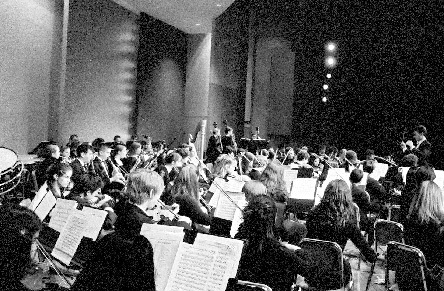 Through advanced orchestra repertoire, students are challenged to perform at pro­fessional levels, to strive for advanced musi­cianship, and to achieve superior technical, musical, and personal application. 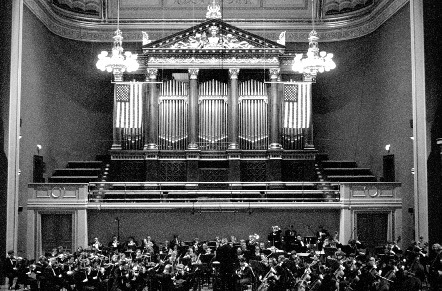 Former PYO musicians currently hold chairs in most of the top 20 professional orches­tras in the United States, with 12 PYO alumni currently serving in The Philadelphia Orchestra. 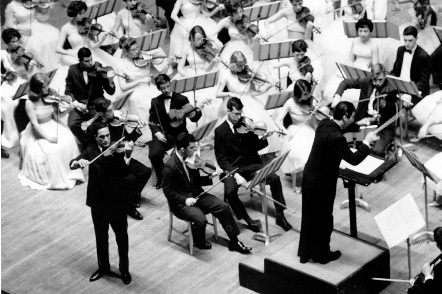 Extraordinary artistic leadership is a hall­mark of the Philadelphia Youth Orchestra organization. 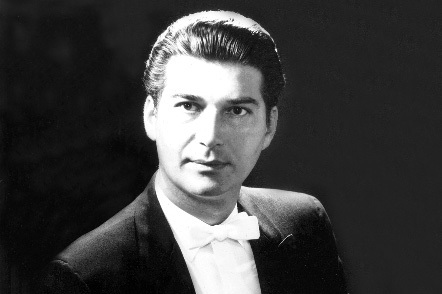 Adolph Sorian (1940–1941), J.W.F. 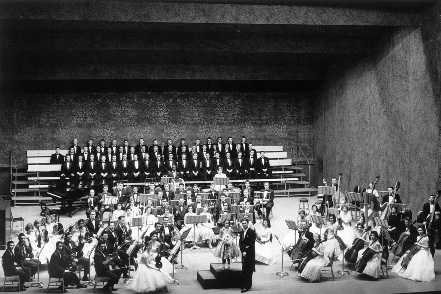 Leman (1941–1952), William R. Smith (1952–1954), and Joseph Primavera (1954–2005) served as Music Directors, with Maestro Primavera having had the extraordinary distinction of being the longest-serving active conductor of any orchestra in the world. 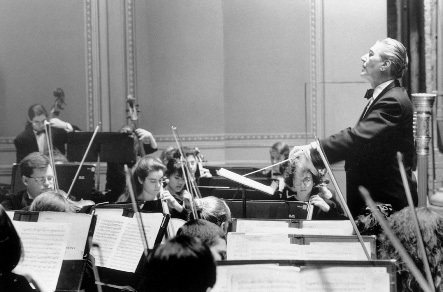 Louis Scaglione, appointed in 1997 by Maestro Primavera and the PYO Board of Trustees, continues the legacy of leadership currently serving as the PYO organization’s President, CEO and Music Director. Philadelphia Youth Orchestra, having been presented on tour in over twenty countries, is one of the most well-recognized youth orchestra programs in the nation. It provides the region’s most advanced classical instrumental music students with unparalleled training and performance opportunities with world renowned soloists under the direction of Maestro Louis Scaglione, one of the leading youth orchestra conductors in the country. In addition to the opportunity to showcase their talents through high-profile radio broad­casts on WRTI FM and live performances in Verizon Hall of The Kimmel Center for the Performing Arts, members learn character-building life skills and supplement their collegiate and conservatory applications, making them strong candidates for acceptance into the most prestigious universities and conservatories around the world. 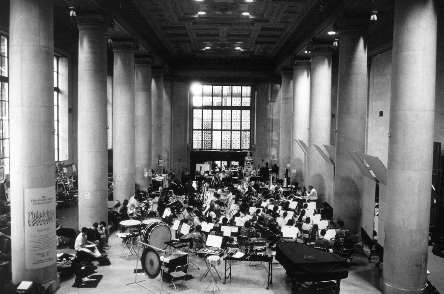 Philadelphia Young Artists Orchestra challenges students through sophisticated symphonic repertoire and musical discipline, is under the director of Maestra Rosalind Erwin. PYAO further provides the opportunity to rehearse standard orchestral repertoire with a highly experienced professional conductor; to work with master teachers in sectional rehearsals; to participate in a concerto competition; and to perform in high-profile professional venues throughout the greater Philadelphia region, including The Kimmel Center for the Performing Arts. Ms. Erwin, a graduate of the New School of Music and Temple University, studied conducting with Ricardo Muti, Leonard Slatkin, and David Zinman. She was previously Music Director of the Pottstown Symphony and is currently Music Director and Conductor of the Drexel University Orchestra. Philadelphia Young Musicians Orchestra, a new and expanded educational offering of the Philadelphia Youth Orchestra organization, is a beginning to intermediate level full symphonic orchestra that provides most students with their first introduction to large orchestral playing. Through a challenging repertoire including both arrangements and original masterworks, students are challenged to hone their talents for listening, blending, balancing, and making music within the full orchestral context. PYMO prepares its members for participation in Philadelphia Young Artists Orchestra — and, eventually, Philadelphia Youth Orchestra. Maestro Kenneth Bean is the director and conductor of PYMO, and is also Conductor of the Junior String Philharmonic of the Lehigh Valley and Symphony in C Youth Orchestra, and Associate Director of the Primavera Fund. Bravo Brass, the only year-round brass ensemble in the Philadelphia area and one of only three in the country and under the direction of Paul Bryan, offers the highest level of individual and ensemble training opportunities for the most accomplished young brass musicians in the area. In addition to the opportunity to showcase their talents through multiple live performances throughout the year, members have distinguished themselves and gained acceptance to some of the most competitive and prestigious institutions for music and higher learning around the globe. Maestro Bryan serves as both the Dean of Faculty and Students and a faculty member at the Curtis Institute of Music. An accomplished trombonist and teacher, he also holds positions as Music Director of Symphony in C’s Summer Symphony Camp and Head Conductor of the Young Artist Summer Program at Curtis. Philadelphia Region Youth String Music offers unparalleled, personalized small group instruction and educational support for beginning to intermediate string students, under the direction of the highly respected Philadelphia Orchestra cellist Gloria dePasquale. With performance opportunities alongside the program’s faculty, PRYSM also provides members with peer mentors from the senior ensembles of the PYO organization. 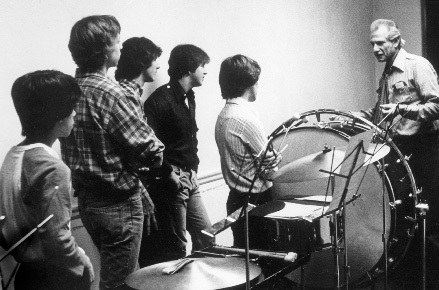 Maestra dePasquale joined The Philadelphia Orchestra’s cello section in 1977 at the invitation of Eugene Ormandy. She was cellist of the dePasquale String Quartet and dePasquale Trio. She is an advocate for music education and chairs the Music Education Committee of The Philadelphia Orchestra, and is senior artistic and educational advisor to PYO. She maintains a large private cello studio, and is nationally recognized as an instruc­tor of cello performance. Tune Up Philly offers a differentiated musical curriculum that was created to meet the specific needs of students living in challenging social and economic conditions, with a focus on effecting meaningful community change. As the first Philadelphia-area El Sistema program founded in 2010, Tune Up Philly offers children in under-resourced communities an opportunity to learn and perform orchestral music and make a true difference within their communities, both through the use of music and through a purposeful connection with others. An award-winning educator, classical recording artist, and nationally performed composer, Paul Smith, Director of Tune Up Philly, holds degrees from Mannes College of Music and The Juilliard School. Mr. has helped hundreds of families and leading cultural institutions use intensive performing arts to engage communities and foster success.